Quite an unusual piece really since most of the New Patent Safe locks were double gated to allow the Detector to be reset should it become tripped. 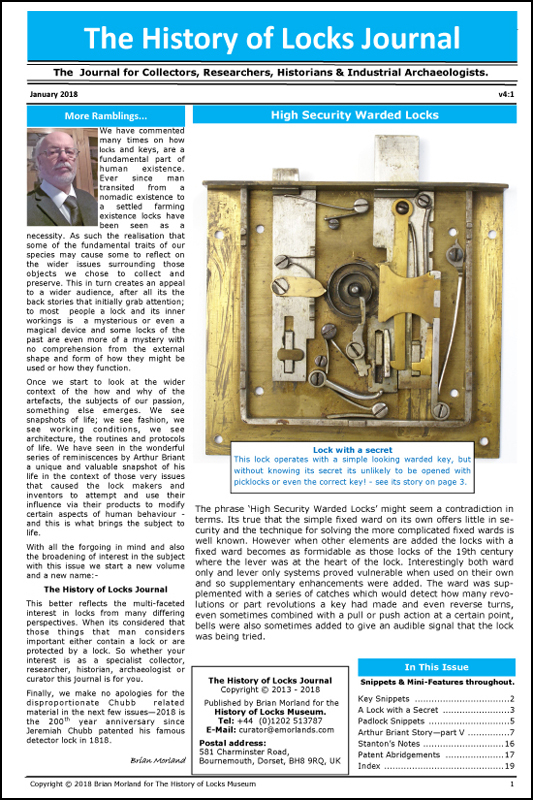 It is an early one, it doesn't have a split plate to stop a "Jack-in-the-Box" attack as found on locks from around 1838, I would agree with Brian on the date being between 1835 to 1836, the latter being most likely as Brian stated. Can you post a few more pics focusing on the Detector, it looks like the Detector hook has broken off. It might just be the picture though.